Cast away the smokescreen for good! Helping people stop smoking is my true passion. I smoked for 20 years and underwent several unsuccessful attempts at quitting, so I know the pitfalls only too well and this is why I am extremely confident I can help you quit for good! So much so that, if you are a suitable candidate for quitting smoking in A SINGLE SESSION, I offer you a 100% SATISFACTION GUARANTEE: For up to 6 weeks I will give you your money back on request if you are not completely satisfied with the treatment you received. Alternatively, you can have a free follow-up session within the same time period in the unlikely event that you need it. You can become a non-smoker in a single session without any withdrawal symptoms. Hypnosis is “the most effective way of giving up smoking” (New Scientist vol 136): it neither matters how many years you have been smoking nor how much you smoke per day. Hypnosis is not a temporary fix; with your effort and commitment you can easily make it permanent! With hypnotherapy you are 5-15 times more likely to succeed than with willpower alone. Some hypnotherapists claim that you do not require any willpower to stop smoking with their methods because your unconscious mind will magically see to it that you will never smoke again regardless of your conscious will, and that if you had the willpower, you would not need professional help. This is quite simply incorrect. The truth is that you have to actually want to stop and make a firm decision. If you are clear about your goal and truly committed to it, then hypnosis will take care of the rest and help you access the power of your unconscious to reprogram your imagination, thereby helping you make the transition with ease, and without cravings, so you can truly embrace your new life as a non-smoker, fully aware on a deep level of the fact that stopping smoking was one of the best decisions of your life, and that by having stopped you have not given up anything at all! You will find it easy to understand and accept that it was time for you to let go and move on, and it will feel good that you allowed this liberation to happen. Being a non-smoker is your natural state, and you can easily see yourself this way once again as you focus on what really matters to you: health, happiness and true freedom of choice. It will feel a bit like coming home. Smoking may have seemed like a way for you to feel good, but now you can easily make a firm decision to find new ways of feeling good from deep within yourself as you develop a more conscious relationship with yourself. Are you ready to let go of the pain it used to cause you and see how much you have to gain by doing so – all without having to substitute one habit for another? Perhaps you have been using cigarettes as a coping mechanism to deal with unwanted feelings. Recent research published by the World Health Organisation has confirmed a link between smoking and low self-esteem. As you learn to control your smoking habit rather than letting it control you, you will find that you will gain confidence as you reclaim your freedom, and that it is possible to experience no side effects and no cravings, and that you will not feel deprived or missing out on something. You really do not need tobacco to be confident or cope with stress. You may have thought you were smoking to relax, but in reality, smoking has only added to the stresses and strains of your life; perhaps it has even become one of the biggest stresses of your life altgether! Tobacco is a stimulant: it increases your general stress levels as it increases your heart rate and puts you into a semi-permanent fight-or-flight state. As you know, frequently when you have a desire to smoke, it seems that you cannot relax until you give in, so you smoke only to feel normal, to feel like non-smokers do all the time, free from the desire to smoke. Smoking really is not tantamount to enjoying life. You will enjoy life even more without smoking tobacco, and there truly is absolutely nothing to fear. You might eventually even completely forget you were ever a smoker as you stop thinking about it altogether and focus on far more wholesome things in your life. You may have been brainwashed into thinking that becoming a non-smoker is difficult. But this is really not so! If previous unsuccessful attempts to stop have reduced your self-esteem and tricked you into thinking that you will never be able to stop, do not believe your own thoughts! The truth is that every unsuccessful attempt at stopping has brought you one step closer to becoming a non-smoker as you understand your habit better and better. Research indicates that 45% of all smokers eventually stop! Most stop cold turkey and do not rely on nicotine patches or medical drugs to help them quit. Instead of falling for the pharmaceutical industry which is medicalising the issue in order to cash in by selling you another drug, these people know well that they can simply use the power of their minds to get there. Many of them do not even need hypnosis, but for those who find it hard to go it alone, hypnosis – especially in conjunction with CBT – is a very powerful tool with an extremely high success rate. As you already know, there is nothing glamorous about smoking. Your identification with this cultural relic of the past only came to be because of the multi-billion dollar industry that’s behind it. Do not leave your future in the hands of the tobacco companies. They need you; you do not need them. Tobacco is the only legally available consumer product which kills people when used entirely as intended. If introduced today it would not stand the slightest chance of being legalized. Cancer and heart disease are the two most common fatal diseases, and smoking is a major cause of both. It is quite obvious that smoking kills, and it does not discern. It can kill anyone, and it can kill you. Passive smoking kills too, it just takes a little longer. On average, smokers die 13-14 years prematurely, and the average smoker loses 14 minutes from their life expectancy each time they smoke a cigarette. That’s the same as a loss of six days with each month of smoking that passes! Especially the last few decades of life can be miserable for smokers who begin to feel much more serious effects of their decades-long habit. 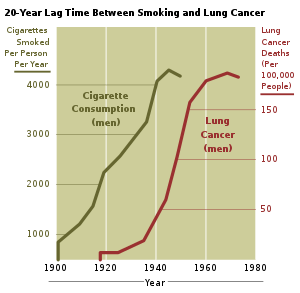 I strongly encourage you to have a look at some very powerful images – they really get across what is in store for the the vast majority of smokers who do not quit in time. To ensure success it is essential to have a positive attitude and to mentally prepare. This is why, after you contact me to stop smoking and we both agree that you are sufficiently motivated, I will ask you some questions and give you some instructions to follow for a week or so in order to destabilise your habit. They include identifying all the reasons why you wish to stop smoking and a self-monitoring exercise where you write down your thoughts while smoking a cigarette and rate how much pleasure you actually derived from it. You can try this exercise right now if you have never done it; it can be quite an eye-opener! What is your session going to be like? After discussing your reasons to stop, examining your self-talk and looking at the health issues of smoking in some more detail (and believe me, there is a lot you probably do not know at this point), I will teach you a very effective self-hypnosis technique designed to enable you to completely relax on cue whenever you need to. You will learn about the three-fold mechanism of tobacco addiction and how what most of us think of as withdrawal is really just a bodily adjustment due to detox. I will show you why the physical component of it is, although undeniably real, very short-lived and only a tiny aspect of the whole picture and how it can easily be taken care of. Finally, the hypnosis itself – which will be individually tailored to your specific needs based on the information you have given me – will help you reprogram your unconscious with all the suggestions that you need to come out the other end a happy non-smoker who won’t look back! * Disclaimer: Success depends not only on the skill of your therapist but it also depends largely on your emotional readiness to quit. For a minority of people a single-session approach is not recommended. I will not accept you for this program if I feel that it is not appropriate for you. In this case you will benefit much more from a multi-session approach stretched over several weeks, where we will do some more in-depth cognitive-behavioural preparation work in order to boost your self-understanding, motivation, confidence – in other words, your readiness to quit and commitment to stick with it for good. In-between these sessions you will probably experience a number of ‘failures’ when trying not to smoke. We will reframe those into powerful learning experiences with valuable insights into your personal smoking process. Your self-understanding and readiness to change can grow, and it will help maximise the likelihood of you reaching your goal. Every session will represent a significant step forward on your way to freedom. My 6-week 100% money-back satisfaction guarantee (or a free follow-up session) is only valid for suitable single-session candidates. For obvious reasons, it is not applicable for multi-session candidates.